Online video sharing site Vimeo®, an operating business of IAC [NASDAQ:IACI], today announced the top five finalists in each of nine categories in its first Vimeo Awards competition. The finalists, representing 12 countries from around the world, were selected from more than 6,500 entries by aninternational panel of distinguished judges including M.I.A., David Lynch, Roman Coppola, Ted Hope, LucyWalker, and Morgan Spurlock, to name a few. Screenings of the finalist videos will take place at the VimeoFestival in New York on October 8-9. Tickets for the two-day Vimeo Festival, which features an amazing schedule of events including video screenings,workshops, seminars, and panel discussions from some of the most successful and respected members of the filmand video community, can be found at Vimeoawards.com. The Vimeo Awards winners will be announced at aseparate limited availability presentation on October 9th. The list of 45 finalists represents the incredible caliber of the international online video community at large withGreat Britain, France, Canada and the United States as a few of the countries represented in the finalist selections. 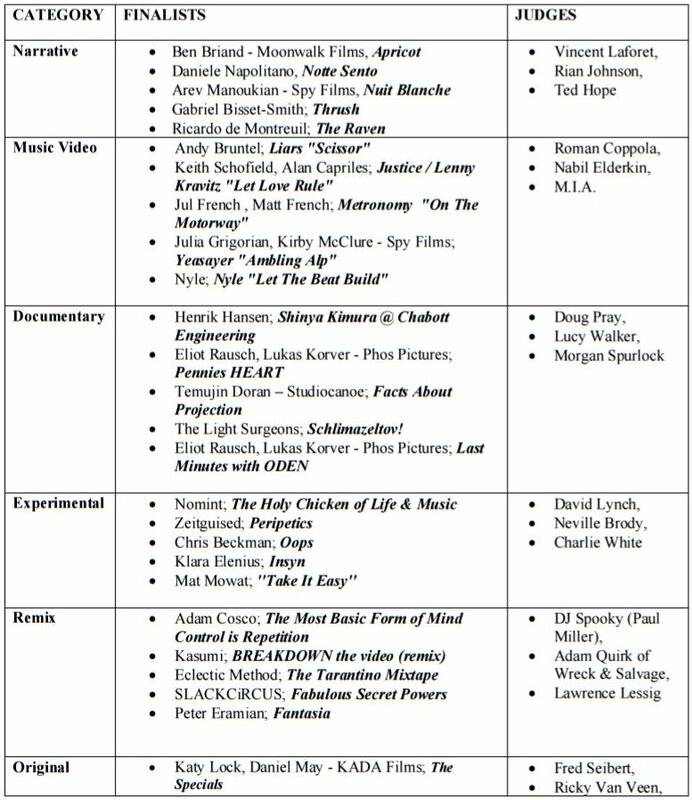 To view each of these films, please visit www.vimeoawards.com/finalists. 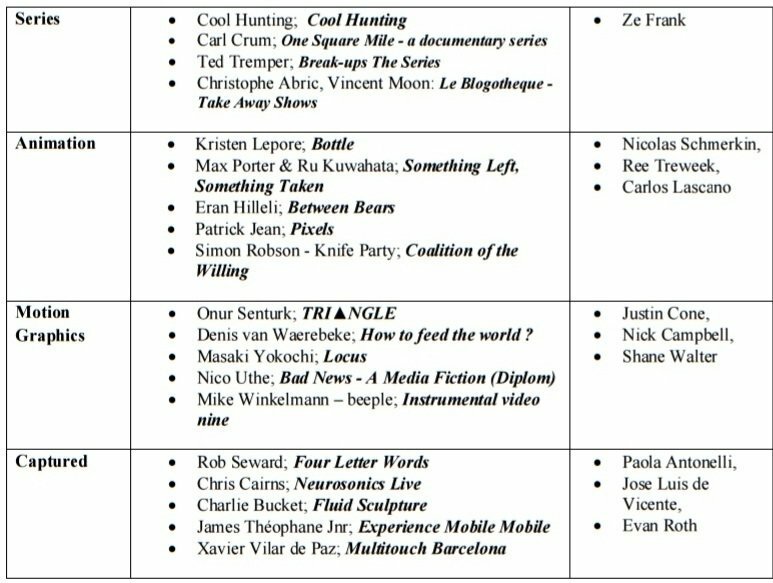 To view each of these films, please visit www.vimeoawards.com/finalists. In addition, registered Vimeo userscan vote for their favorite video to determine the Community Choice awards in each category. CommunityVoting is separate from the judged Vimeo Awards. Complete Vimeo Festival schedule and ticket information isavailable at vimeoawards.com. Festival tickets are available now!